Abstract: Airwheel Poland has been present in Bike Expo in Kielce, which lasts for 3 days from 24th to 26th September, 2015. That brings users and visitors fun. 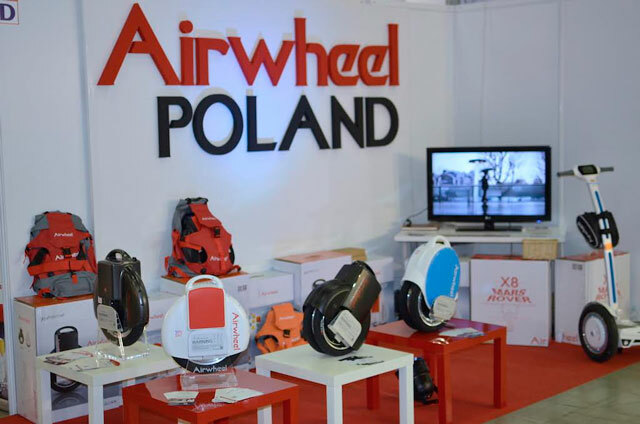 Airwheel Poland with its creative products has been present in Bike Expo in Kielce, Poland which lasts for 3 days from 24th to 26th September, 2015. As we can imagine from photos, staffs of Airwheel holding company's flags are riding electric scooter to enter into Expo area, which is attractive to most visitors. One girl is riding S series which is two-wheeled self-balancing scooter with easy operation; the rest are riding one wheel electric scooter. 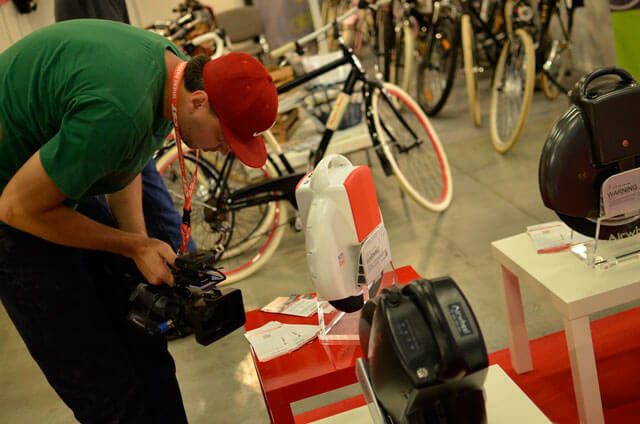 Although it's an Expo for bike, Airwheel still comes to join the popularity contest. Apparently scooter is more competitive as a moderate number of customers come to the Airwheel's booth for knowing more product information. Only from those photos, we can see Q5, twin-wheeled electric scooter with a tone of blue color with LED atmosphere lights allowing riders to use in the night. In the Airwheel POLAND Test area, we can see several customers holing assistant cord tied on the scooter's handlebar. Looking at that man, we can know how to learn riding one wheel electric scooter. That is to put one foot on the pedal firstly, and then slowly accelerate speed as well as finding out a right position to keep balance. In brief, using a correct position is the key to learn it fast. With the cord's assistance, we can jump out the scooter to reduce the possibility of getting injured when you feel it is going to turn over. As our photographer is going to leave, a beautiful girl with the barest hint of a smile is riding X3. She is so elegant with this riding position, a slightly slant. She seems afraid to smile widely for the fear of ruining her elegance. It's a joke. Don't take it serious. Life is for fun like Airwheel which is born for joy. 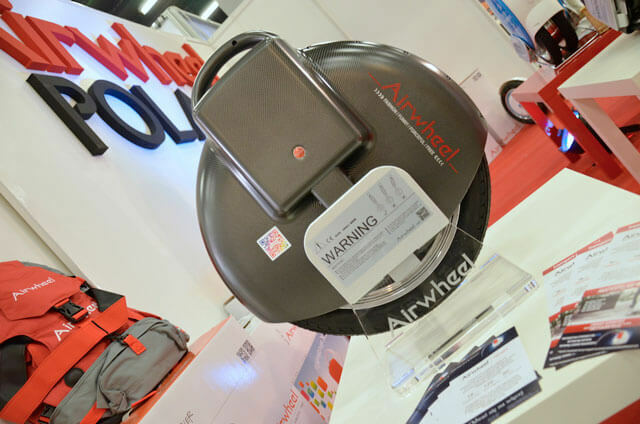 We are expecting to meet Airwheel again in the next Bike Expo.